Members of Jia Wei, taking Jia Wei as their home, are proud of Jia Wei. “Treating employees like family” is the common belief of Jia Wei’s partners. Director (Chang Wei Jen), Deputy Director (Shi Chun Cheng), CEO (Wang Chong Ping), and some accountants (Chen Tian Rong, Lu Jia hua) of Jia Wei are from Lucao Township, Chiayi County. Their experiences of working far away from home allow them to realize the hard work of employees. “Every employee is pride of parents” Chang Wei Jen always says. All parents hope their child become successful. Therefore, how to make employees do what they are good at is the responsibility of Jia Wei. Jia Wei has team spirit and the ability to integrate across departments. 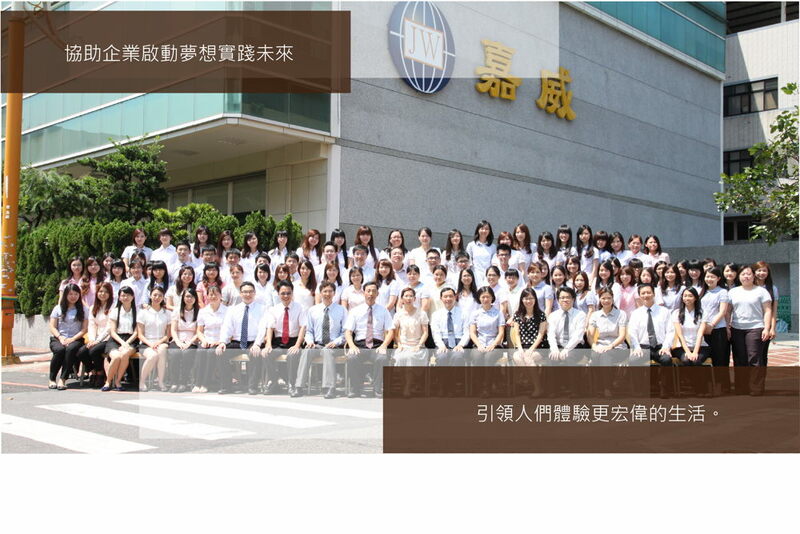 Members of Jia Wei work, grow, face the challenge and enjoy life together. When the bell rings at 5:30 p.m., all employees go off work. Is Jia Wei really an accounting firm ? Although it is difficult to avoid working overtime during tax filing season, Jia Wei is committed to continuous improvement of work steps and methods through computerization, personnel training, work arrangements and smooth communication channels to enable the employees to get off work on time. Good treatment and working environment is the commitment of partners to employees. The treatment and environment will affect the attitude and performance of work. Accounting work is highly repetitive and continues for eight hours. To achieve an employee turnover rate of less than 3%, only high pay is not enough. We also try our best to provide a good working environment for employees. Jia Wei CPAs building is located in New Taipei Industrial Park (MRT New Taipei Industrial Park Station), with a total floor area of approximately 5,620 square meters, including open offices, accountant offices, meeting rooms, a staff restaurant and a large classroom. There are more than 100 scooter parking spaces and 70 car parking spaces available for free use by employees and customers.